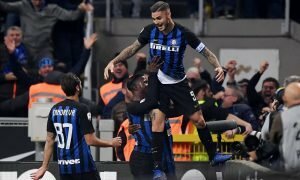 Chelsea keen on wantaway Milan striker | The Transfer Tavern | Where football transfer rumours fly or die! In news that has made the punters put down their pints and gather round the bar, talkSPORT are this morning claiming that Chelsea are interested in signing wantaway AC Milan striker Alexandre Pato this January transfer window. 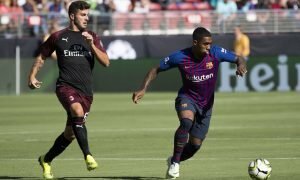 The 23-year-old Brazilian forward along with compatriot Robinho has admitted that he is keen on exiting Milan following a disappointing season this term in Serie A with Massimilano Allegri’s men currently sitting in a disappointing seventh place following the high profile summer departures of Zlatan Ibrahimovic and Thiago Silva to big spending Paris Saint Germain. Chelsea are in the market for a striker and currently only possess Fernando Torres as an out-and-out forward option with Victor Moses the only other recognised attacker if we accept that Daniel Sturridge is all but a Liverpool player, with a deal reportedly in place. Pato had been keen on a return back home to Brazil with Chelsea’s Club World Cup final victors Corinthians interested in a deal but interest from the Blues may just sway Pato who was linked with the Stamford Bridge outfit way back in 2007 before he made the move to San Siro. Liverpool are also keen on Pato but it is Corinthians who have made the first move after director Duilio Monteiro confirmed there has been contact with Milan CEO Adriano Galliani. Monteiro said: “I had a meeting with the CEO of Milan [Adriano Galliani]. Should Chelsea target Pato this January? Vote in our polls below.